Using a sheet of standard printer paper (8.5 x 11), or anything similar, create two rectangles as demonstrated in the video. 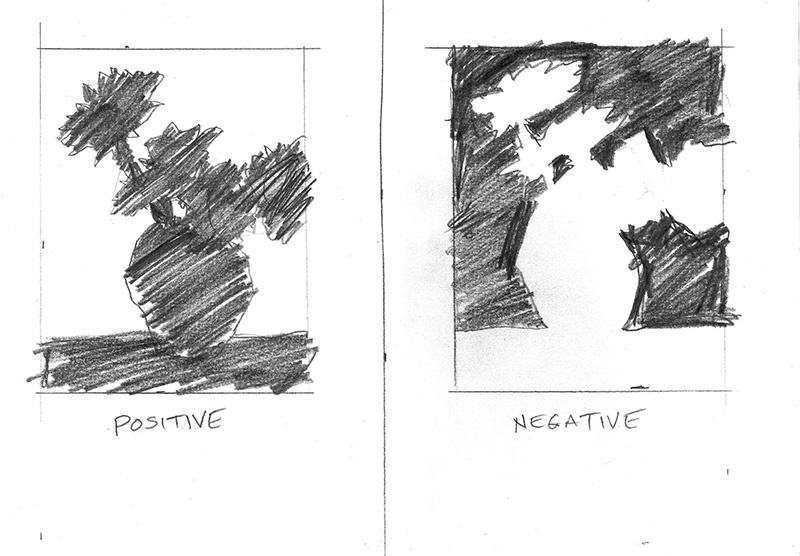 Use one rectangle for positive shape study and the other for negative shape study. You don't need to capture every single angle and nuance. But you do want to capture the overall characteristics of the subject. Have a look at the main shape and see if you want to enhance, or change, any areas to create a more interesting shape. Envision the background as one solid color and don't get caught up in the details. Only focus on main subject, and every thing else is negative space.